Tamerlan Eldar oglu Akbarov – Head of the Press Service of the Azerbaijan Cooperation University. Tamerlan Eldar oglu Akberov was born on October 14, 1995 in Imishli. In 2013, Imishli graduated from the N.Narimanov School of Humanitarian Sciences named after N.Narimanov, and in that year entered the Management Skills Department of Marketing and Management of Azerbaijan University of Cooperatives. She graduated with honors from the University in 2017. In 2017, he entered the Master of Business Administration degree from the Azerbaijan University of Cooperatives. She has been a public and political activist since 2006. Imishli district, where he studied in 2011-2013, has created the Youth Organization for the first time in the district of Humanitarian Sciences and has served as its chairman. She is the Chairperson of the Student Youth Organization of the organization she has been studying since 2014. She has repeatedly acted as an organizer and participant of many events in Baku and the Republic. She was awarded three prizes by the signatures of the Minister of Youth and Sports of the Republic of Azerbaijan for the implementation of the State Youth Policy in the country, and the Student Youth Organization, which was led by the Ministry of Youth and Sport, was awarded a special prize for its successful activity in 2015 and 2018. In general, public and political activities were honored with the relevant state bodies and Non-Governmental organizations by 24 honorary diplomas, 8 diplomas and 4 awards. In 2015 he was elected as a member of the Public Council under the Narimanov District Executive Power. Since 2013 he has been an active member of the New Azerbaijan Party and the New Azerbaijan Party Youth Union. 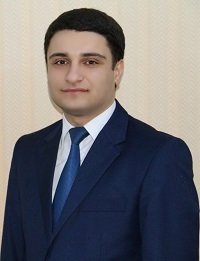 He is a member of the Board of the Union of Student Youth Organizations of Azerbaijan. With the support of the Ministry of Youth and Sports, the University of Morocco, Portugal and several times visited Turkey and the Russian Federation. He was awarded the Education Key Award in 2015. He is the author of 4 scientific articles. The press office organizes and regulates the work of the media related to the activities of the higher education institution and public awareness. The service is responsible for answering questions from the public about the meeting, conference and university activities planned by the rector and other structures. The organization of cultural events, as well as the promotion of the university’s promotion and reputation, are also part of the division. The service prepares news announcements to inform the public about the university’s activities. Interviews, speeches, etc., provide the public with the information about the work done at the university in order to provide coverage of the University’s activities in the media and to ensure transparency. prepares. Participates in drafting normative acts and organizational decree documents in the field of public relations. The activities of the service are to prepare and respond to media reports on the activities of the University in the media and, if necessary, to respond to unreliable information. At the same time, the service organizes participation of mass media representatives at university events. The press office is responsible for the collection of magazines, advertisements, posters, information sheets, publication of questionnaires and the preparation of various multimedia tools, archives of paper, video and photo materials on the university’s activities. Participates in the review of lawsuits filed by citizens, government agencies, management, enterprises and organizations on their activities and inquiries.